It is normal for satellites to have solar panels on both sides of the body. But Landsat satellites, from Landsat 4, seems to have the solar panel on only one side. Are there any specific advantages of having such a configuration? Solar panel technology seems to have caught up with power requirements on the satellite. Since price of components is really no object when building a system like this, super expensive panels with efficiency ratings of up to 40% can be used. The trick to engineering something properly is using just the right amount of materials, as the old maxim goes "Any idiot can build a bridge that stands, but it takes an engineer to build a bridge that barely stands". If the engineers were meeting the power requirements for the satellite with just one set of solar panels, why include the other? It's possible to predict the power requirements very exactly and each gram that the engineers save can be used on something else which is more mission critical such as a better imagery system. As to why build it asymmetrically? There are basically no benefits to building it symmetrically. Modern control software can easily compensate for the shifted center of mass and you also save on motors and unfolding systems in mass. Landsat 4 (and its sister, 5) was a LEO satellite, and was intended to be movable - it had around 500 kg of fuel on board for orbital manoeuvres and maintenance. A calculable drag from the atmosphere in LEO, as its density falls off exponentially as you increase in altitude (albeit low at 700 km). The need to both correct the initial orbit and decommission the satellite into a disposal orbit. All of this adds up in this case to a significant capacity to perform orbital manoeuvres and corrections, and of all of those the solar pressure due to asymmetry in its panels is likely the smallest component. Note that in a sun-synchronous orbit and with necessarily the instruments always pointing towards Earth, the solar array would rotate all the way around the satellite over each 99 minute orbit, averaging out the asymmetry in the solar pressure. Leaves one side of the craft free of panels: the propulsion on Landsats 4&5 is located away from the solar array, as are the sensors. These benefits are relatively marginal, but since the costs of asymmetry are so small here, it must have proved worthwhile on balance. 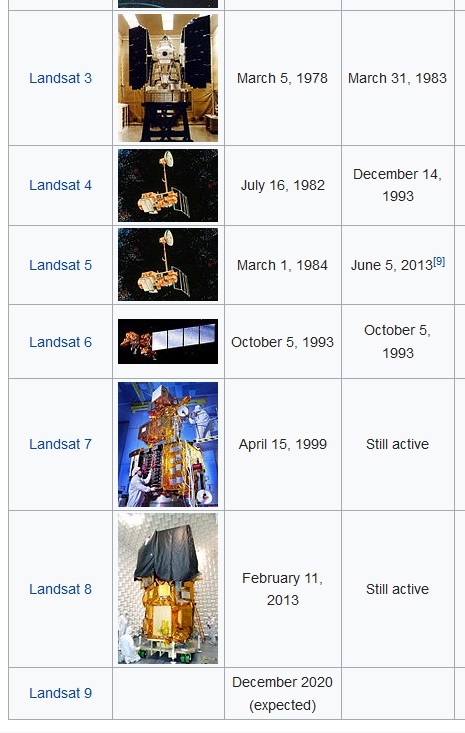 Note that Landsat 4 operated for 11 years, and Landsat 5 (same design) for 29 years, both with the same initial fuel load, well beyond their original 5 year designed life expectancy. Not the answer you're looking for? Browse other questions tagged artificial-satellite design solar-power electronics or ask your own question. Is solar panel efficiency defined and measured differently for space vs terrestrial applications?